ACCUPLACER is an integrated system of computer-adaptive assessments designed to evaluate students’ skills in reading, writing, and mathematics. For over 30 years, ACCUPLACER has been used successfully to assess student preparedness for introductory credit-bearing college courses. ACCUPLACER delivers immediate and precise results, offering both placement and diagnostic tests, to support intervention and help answer the challenges of accurate placement and remediation. To register for the ACCUPLACER Exam click here. To register for the NACE Exam, click the link below and create an account on the National League for Nursing website. Choose Arkansas State University-Newport as the campus where you want to take your NACE exam. The username and password you create is the one you will use when your NACE exam begins, so please make sure you have this information when you arrive for your exam. To register for the NACE Exam, click here. The PAX Exam is offered on all three ASU-Newport Campuses. To register for the PAX Exam, click the link below and create an account on the National League for Nursing website. Choose the campus where you want to take your PAX exam. The username and password you create is the one you will use when your exam begins, so please make sure you have this information when you arrive for your exam. Click here to register for the PAX Exam. 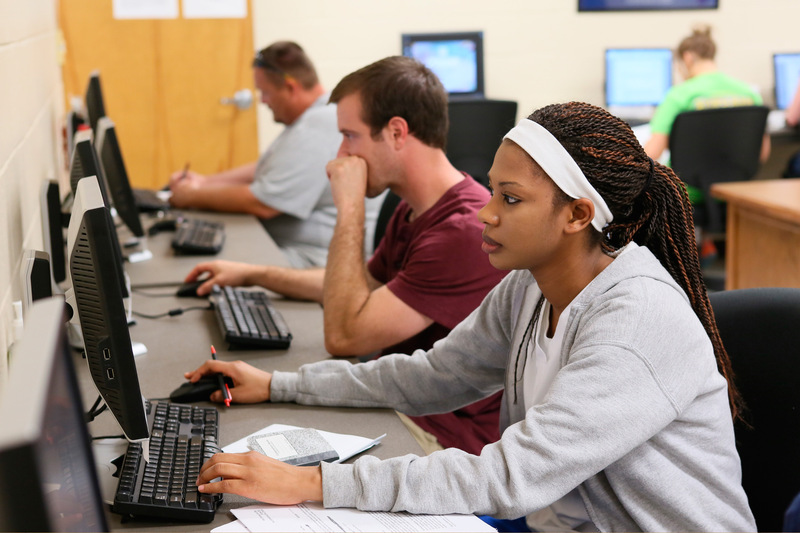 ASUN Testing Services serves as a test center for students taking courses online or through correspondence Distance Education Programs. This service is provided to non-ASUN students. Proctoring services are available by appointment only, during our regular hours of operation. Please call the Testing Center for an appointment. The $25 fee is due on exam day. If, after testing, examinees need to have exam “overnighted” back to the correspondence university, we must know upon arrival, so we may complete the paperwork while examinees are testing. NOTE: It is the examinee’s responsibility to request that tests are sent to ASUN. If exam is online, the Distance Education university should email the password and instructions for the delivery of the exam. The ParaPro Assessment is a general aptitude test that is required in many states for paraprofessional certification. It also offers school districts an objective assessment of your foundation of knowledge and skills. Start now and take the necessary steps to become a teacher’s assistant. Click here to register for the ParaPro Exam. The Praxis® tests measure the academic skills and subject-specific content knowledge needed for teaching. The Praxis tests are taken by individuals entering the teaching profession as part of the certification process required by many states and professional licensing organizations. ACT WorkKeys® assessments are the cornerstone of ACT workforce solutions. The assessments measure foundational skills required for success in the workplace, and help measure the workplace skills that can affect job performance. Go to the local Department of Workforce Services and register as a jobseeker, Department of Workforce Services will send a referral to the Academic Support Center. Giving or receiving assistance from other examinees. Submitting another person's work as your own, such as having your test taken by someone else. Taking or attempting to take a test for another person. Working on or reading the test during a time not authorized by the test center staff. Removing or attempting to remove a test book, a test question, or a portion of a test in any format from the testing room. Using or having books, notes, calculators, earplugs, headsets, rulers, listening devices (including Bluetooth), paging devices (beepers), cellular phones, recording or photographic devices, papers of any kind, or other aids unless specifically authorized. Communicating with anyone other than testing personnel. Forging signatures, presenting false identification, or falsifying information on an official academic document, grade report, letter of authorization, transcript, test scores or any other official MDC document. Reproducing, circulating, or otherwise obtaining advance access to test materials. Creating a disturbance or any disruptive behavior. Attempting to bribe a member of the test center staff to obtain a copy of a test or any confidential information about the test. Attempting to remove scratch paper or notes of any kind from the testing room. Attempting to tamper with a computer. Failing to follow directions issued by a member of the test center staff. Entering the testing room with food and/or drinks. Opening an unauthorized browser during a test administration. Refusing to adhere to any other regulation. Individuals who exhibit any of the above-mentioned behaviors will be subject to appropriate action as specified in the College’s Code of Conduct within ASUN Catalog. Incidents will be reported to the Vice Chancellor of Student Affairs for review and to the department or agency that is associated with the testing program. Please be advised, computer screens are monitored and testing sessions are video recorded via surveillance cameras. Other detection devices may also be used.